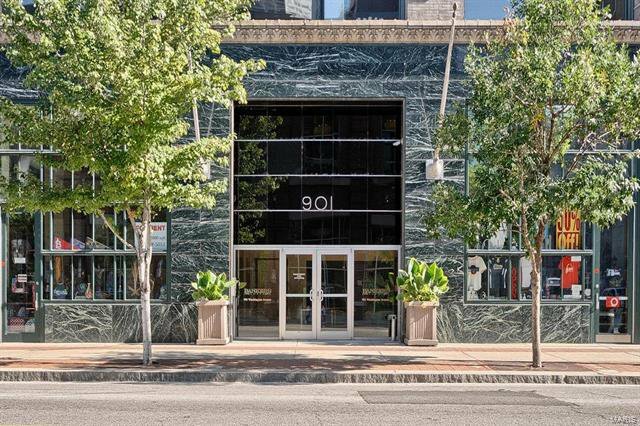 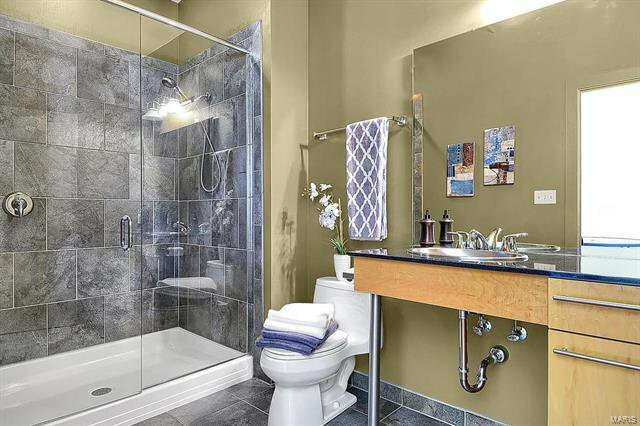 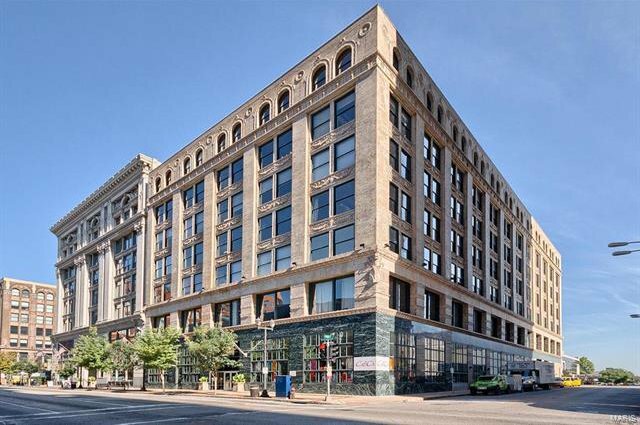 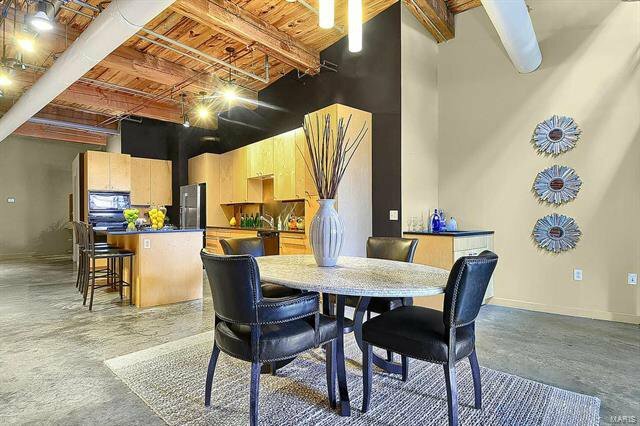 Luxury 2 story penthouse loft in a premier location! 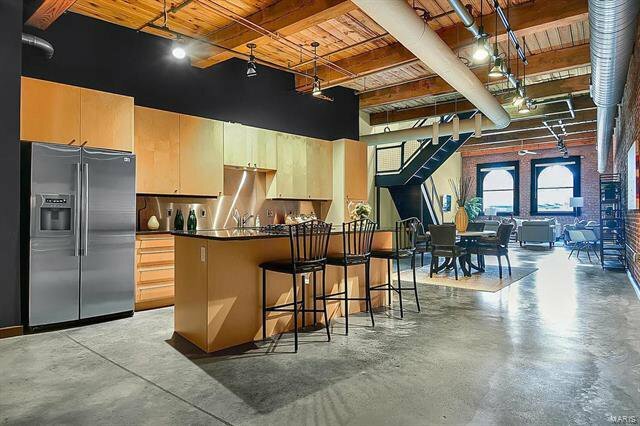 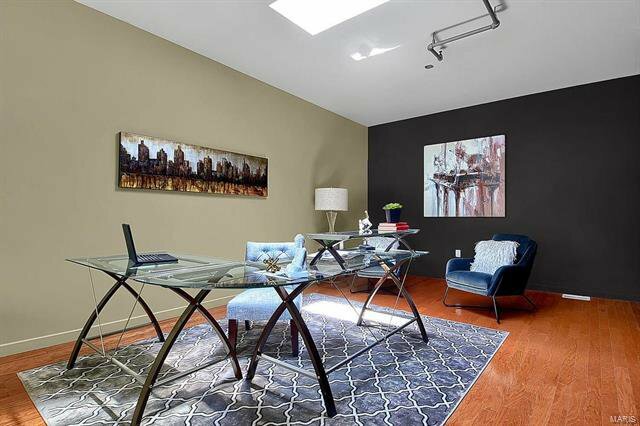 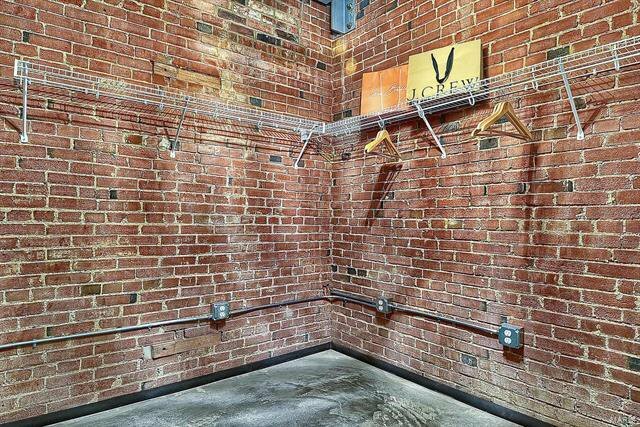 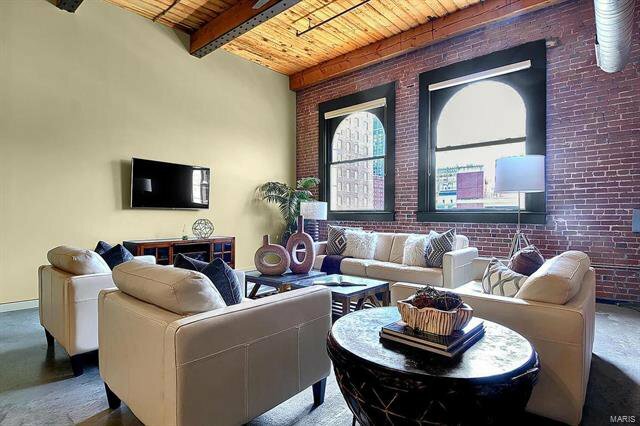 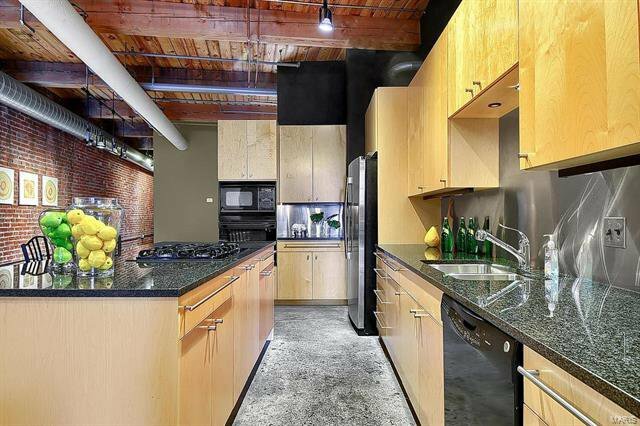 Professionally designed, stylish & tasteful, this loft is ideal for your urban living dream! 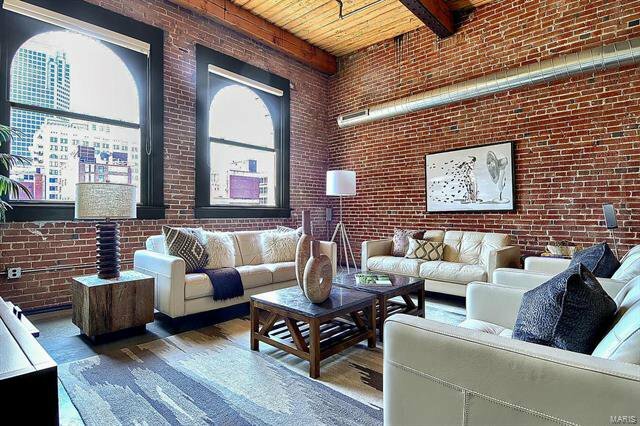 Walk into an open floor plan w/featured natural timber posts, wooden ceilings, exposed brick walls, polished concrete floors & ample amount of natural light! 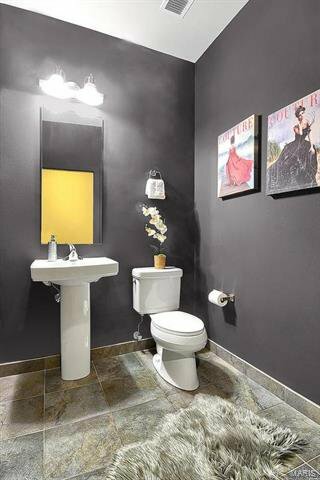 The main floor boasts custom designed kitchen w/ 42" cabinets, large center island w/breakfast bar & gas cooktop, granite countertops and SS backsplash! 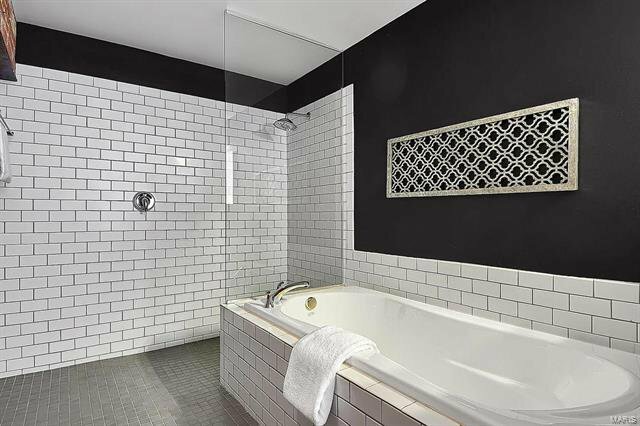 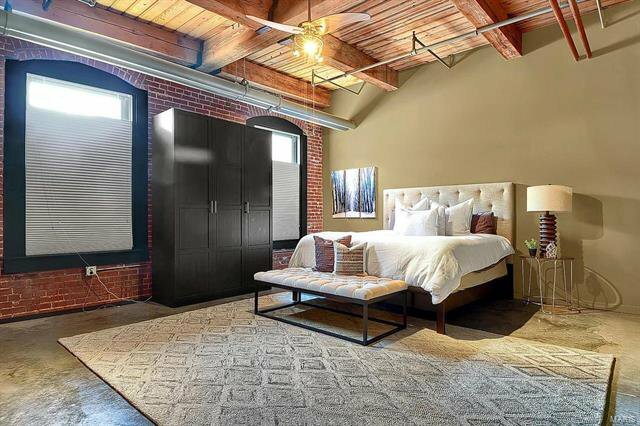 Gorgeous master suite w/wood ceiling, designer light fixtures, exposed brick walls & a huge master bath finished in elegant colors featuring dual sink vanity, large soaking tub, & a separate shower with subway tile surround and frameless shower glass. 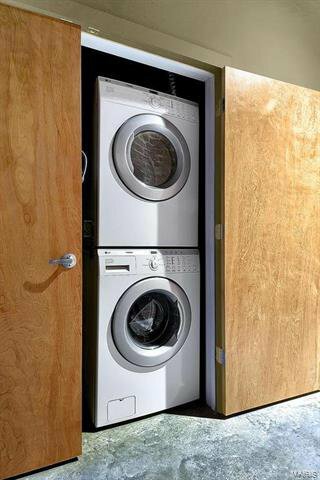 Main floor laundry & half bath complete 1st floor. 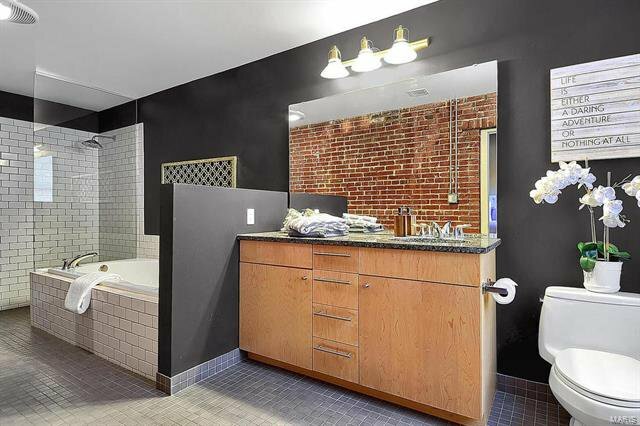 Upstairs features 2nd bedroom w/hardwood flooring & a full bath finished in slate tile. 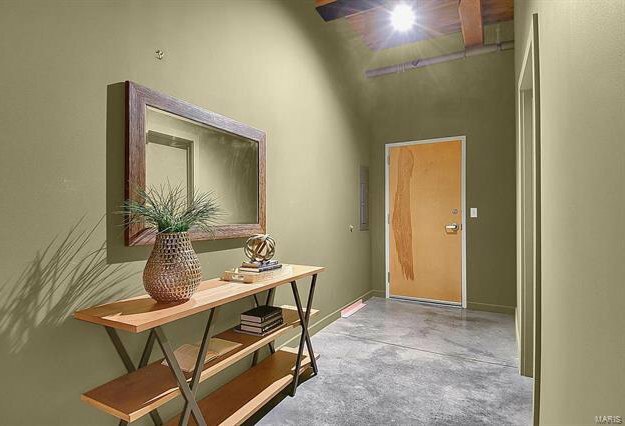 2 garage parking spaces. 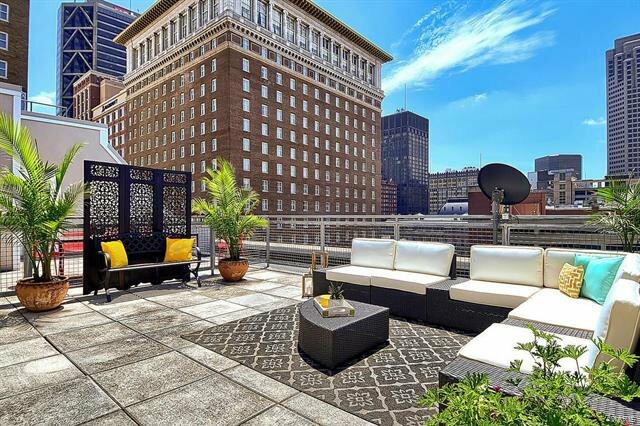 Private rooftop patio is perfect to unwind from the day & spend your evening enjoying the beautiful view of downtown St. Louis!